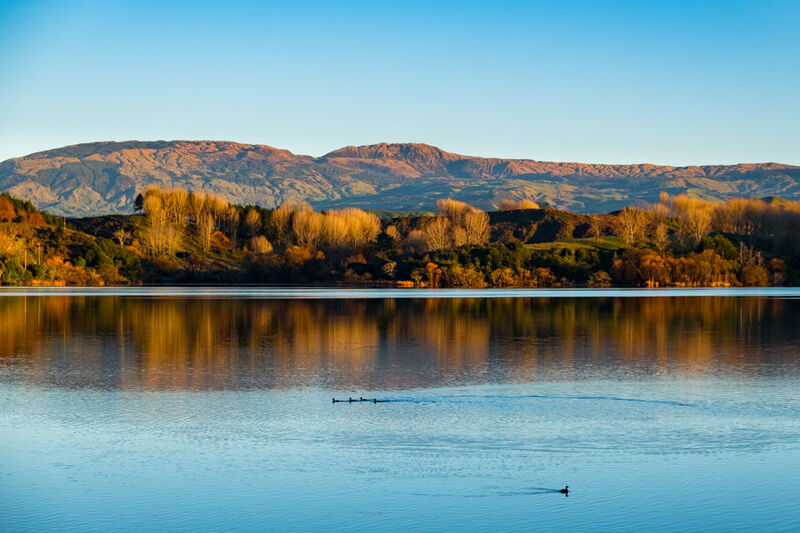 Lake Tutira: a Hawke’s Bay “Winter Wonderland”. One of the things I love about being a professional photographer here in Hawke’s Bay is the wonderful landscape right on my doorstep, and the perfect climate in which to enjoy it. 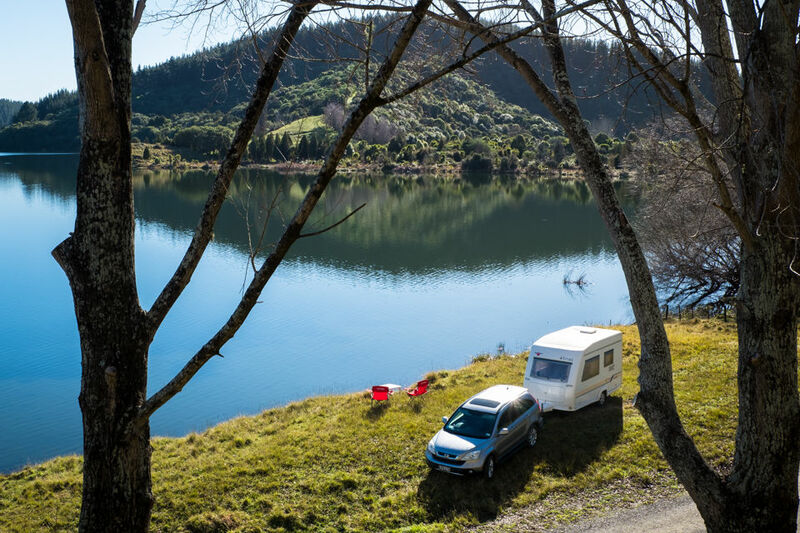 We had some fantastic sunny days last week, so I took a short break and drove the caravan to Lake Tutira (40 kms north of Napier on SH2) for a couple of nights. The colours were stunning and the air was beautifully crisp and clear. A walk up to the top of the range was breathtaking – in all senses of the word – no wonder it is known as the ‘great views’ walk! 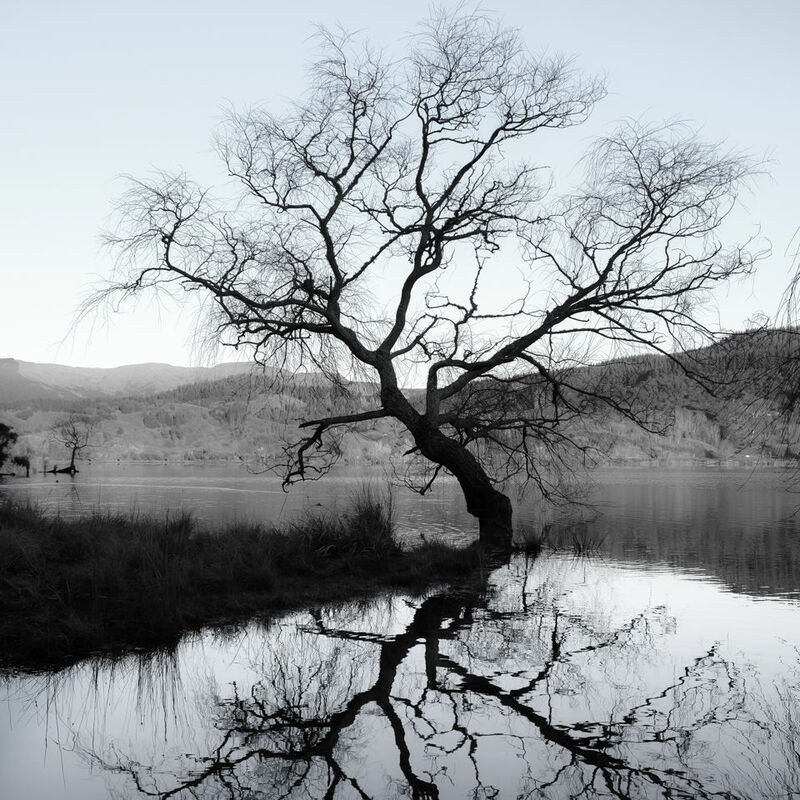 Down closer to the lake I found my favourite Lake Tutira tree. “Spring Greens” is one of my most popular images, showing all the vibrant greens of the new leaves in October . It looked very different in winter however. 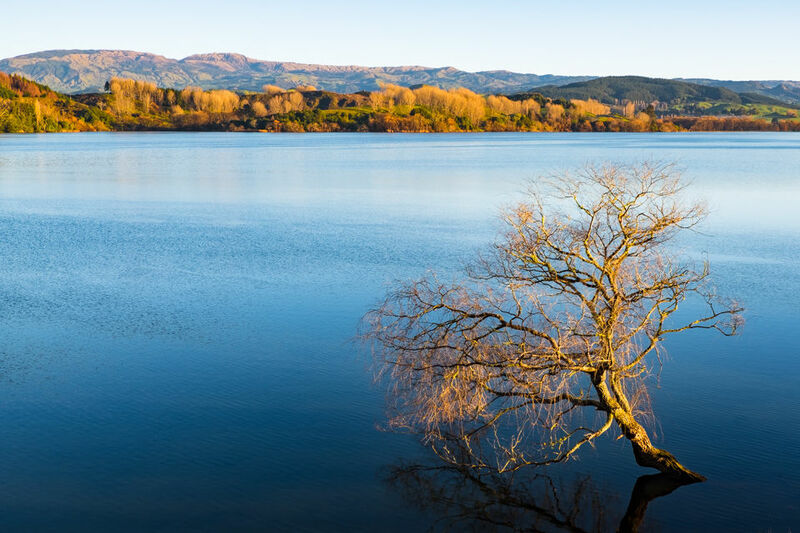 Surrounded by water and with bare branches, it seems we have our very own Wanaka Tree here in Hawkes Bay. Running a successful business can be very challenging, and we all need to unwind now and then. Creative landscape photography helps me to put life’s ups and downs back in perspective; for me, it is all about being present in the moment. And it gives me a great excuse to get out from behind the desk and enjoy the natural world. If you want to improve your creative photography skills there is only one way to do it, really; practice, practice, practice. So grab your camera and get out there – leave the desk behind if only for an hour. You will return refreshed and ready to meet the challenges of daily life. 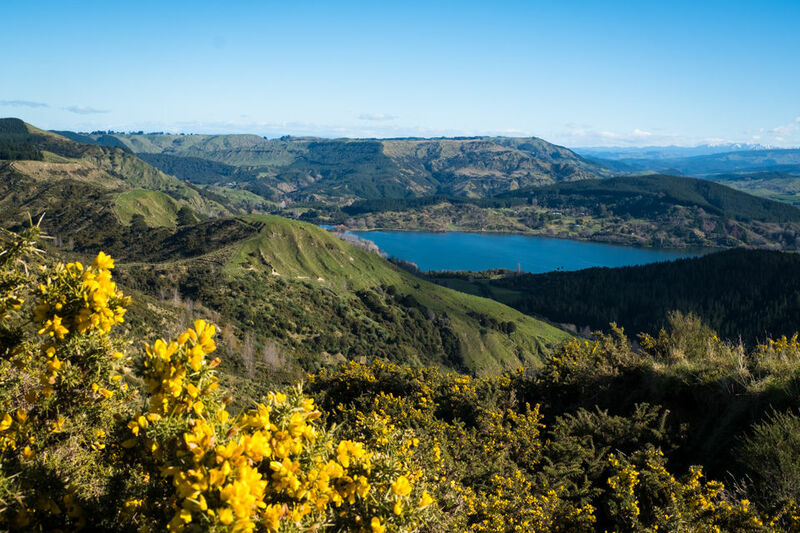 But with so much to see here in New Zealand, don’t forget to pack a spare battery and memory card before you go!